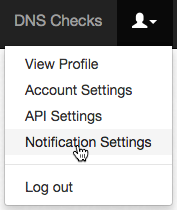 DNS Check can send you notifications via OpsGenie when DNS records start passing or failing. 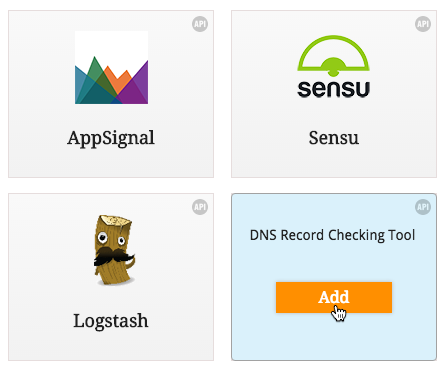 This page describes how to setup DNS Check / OpsGenie integration. Log in to your OpsGenie account. Copy the OpsGenie API key that you generated. You'll paste this into DNS Check in the next section. 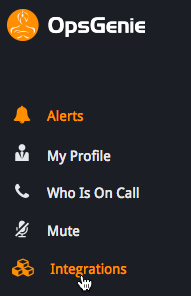 Log in to your DNS Check account. Congratulations! 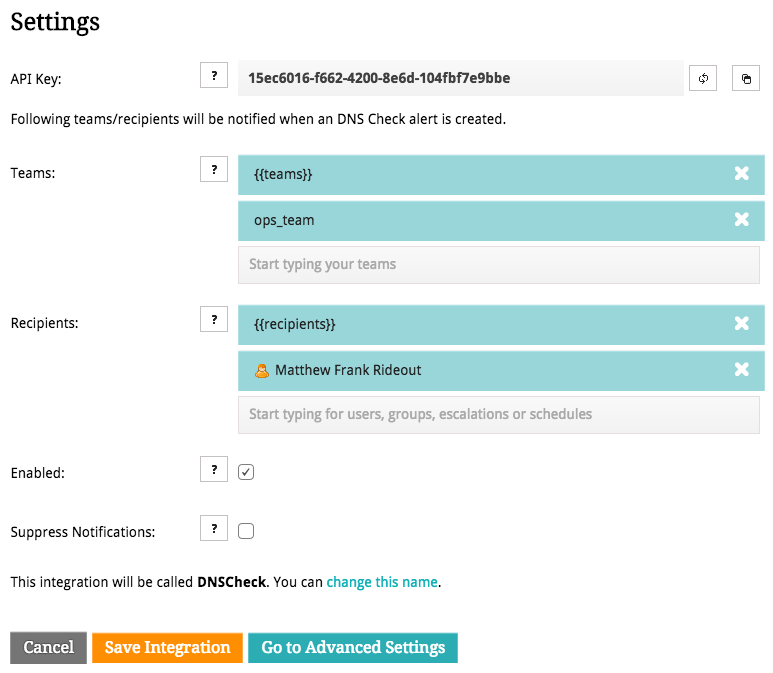 You're now finished integrating DNS Check and OpsGenie.